The new year always brings exciting developments from our guitar design team, and this year is no different. 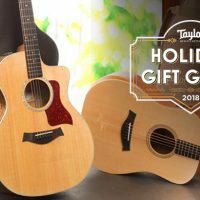 Between our revolutionary V-Class bracing design, the stunning debut of our Builder’s Edition concept guitar, and other new aesthetic appointments, 2018 promises to be another year of improvement and creativity here at Taylor. Here’s a look at everything we’ve been working on. 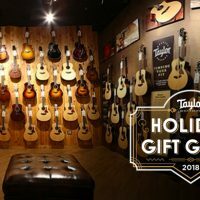 Be sure to contact your local Taylor dealer to find out how you can experience these new guitars in person, or check our Events page for local Road Shows and New Model Showcases. Our first major announcement is not just the biggest development of the new year; it could be one of our most significant innovations ever. 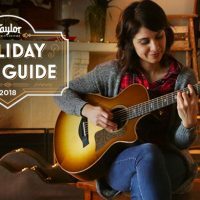 After years of refining X-bracing to improve the tone of our guitars, we’ve broken with a century-old acoustic guitar tradition and developed a groundbreaking new bracing system called V-Class bracing, which changes the way the top vibrates and transforms the sound of an acoustic guitar. 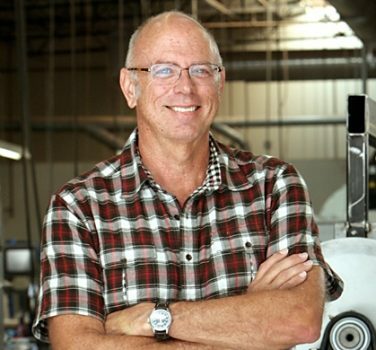 Essentially, V-Class bracing solves an inherent design limitation of X-bracing, which forces a compromise between flexibility and stiffness, i.e., the top’s ability to produce volume and sustain. With X-bracing, increasing one comes at the expense of the other. V-Class bracing enables the two to be controlled independently—it creates flexibility across the top while maintaining stiffness along the center of the guitar, parallel to the strings. More flexibility means more volume, and maintaining stiffness in the direction of the strings keeps them in motion longer, improving the sustain. That orderly vibration produces another powerful effect: It brings the guitar itself into better tune with the strings. With V-Class bracing, the intonation problems that cause sour notes and dissonant chords, especially on the higher frets, are neutralized. 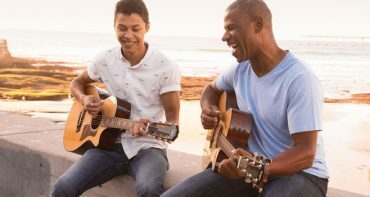 The resulting clarity and harmonic order provide guitarists with more a more inspiring sound, and ultimately a better tool to express themselves musically. V-Class bracing is now available on four models, with more coming later this year. Read more about V-Class bracing here. Developed hand-in-hand with our revolutionary V-Class bracing design, Builder’s Edition was conceived by master guitar designer Andy Powers as the ideal players’ guitar, crafted to his exact specifications to offer a new level of playing comfort and sound. 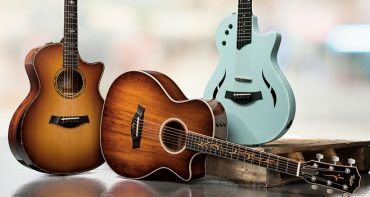 Along with the new bracing pattern, Builder’s Edition guitars include a host of ergonomic features, starting with a new beveled cutaway. Andy took our normal Venetian cutaway and resculpted it into a compound contour, creating a smooth flow from the cutaway into the neck heel. It also incorporates a finger bevel on the soundboard, where the player can rest their pinky finger near the highest frets. This sophisticated cutaway design allows guitarists to reach the entire fretboard without changing their hand position. The guitar also features a beveled armrest for maximum comfort, along with beveled body edging that adds a refined feel and look. Finally, the Builder’s Edition incorporates a new finish formula, which we’re calling silent satin. 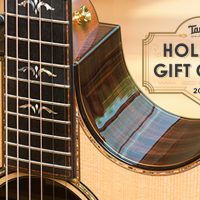 It combines the visual appeal of a traditional satin finish with a new feel that reduces the noise produced when you move your arm across the guitar. This translates into a cleaner sound for recording. 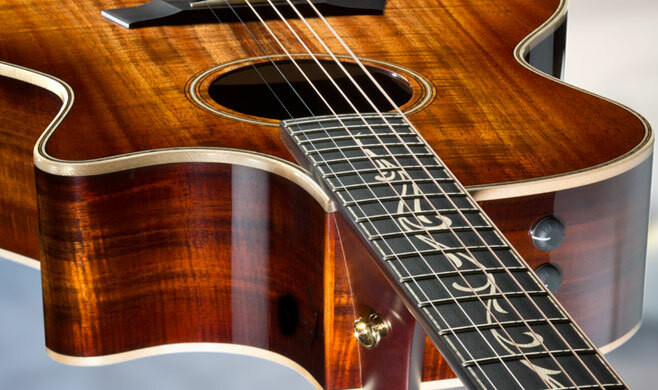 Our Builder’s Edition collection launches early this year with a stunning K14ce, which features the above-mentioned details, along with a torrefied spruce top and a new Kona burst on the back, sides and neck. Read more about the genesis of Builder’s Edition here. 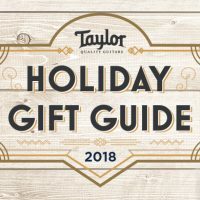 As we do every year, we’ve assessed the entire Taylor line with an eye toward refining our wood and appointment specifications. In this case, we’ve made changes to three of our series. 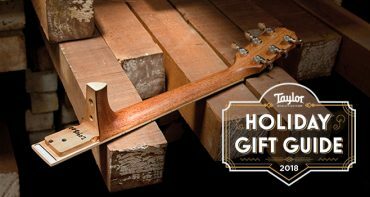 This year, we’ve refreshed the Presentation Series with an exciting set of tonewood updates. 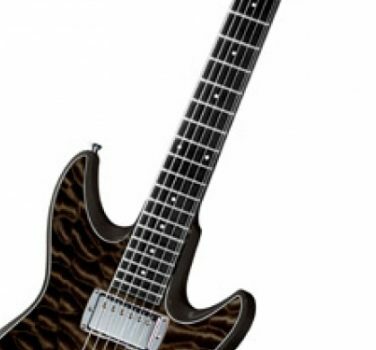 The entire series moves from Macassar ebony back and sides to striped West African ebony. The gorgeous, dense wood delivers incredible focus and sustain, along with an even response across the entire tonal spectrum. To complement its look and sound, we’ve added a sinker redwood top to Grand Concert, Grand Auditorium, and 6-string Grand Symphony models. Sourced from redwood logs that were submerged in Northern California river beds, these rare wood sets exhibit beautiful variegation and produce a truly distinct sonic flavor, with a bold response and shimmering highs rounded out by lush, warm overtones. Our Koa Series has always highlighted the organic beauty of this revered Hawaiian tonewood, and this year’s offerings are no different. You can still expect the same gorgeous, sparkling koa tone and distinct visual appeal, but we’ve updated the inlays in this year’s models to our new Spring Vine design, made from maple. 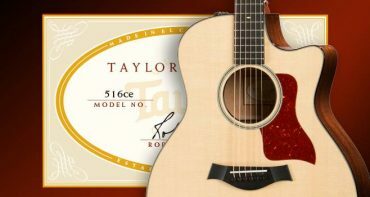 This change will be featured across the entire Koa Series, with the exception of our Builder’s Edition K14ce. 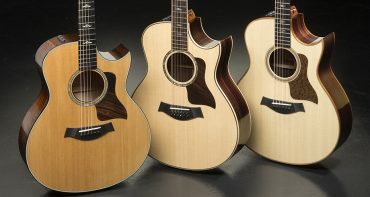 For the past couple of years, we’ve devoted energy to diversifying the 400 Series, our popular line of workhorse guitars. Solid rosewood is now a standard option among 400 Series models, alongside the usual ovangkol offerings. This year, we’ve decided to further differentiate these rosewood guitars with a new Renaissance fretboard inlay made from Italian acrylic. It’s now a standard feature on all rosewood 400 Series guitars regardless of shape.